We know that understanding your military benefits can be a difficult thing to accomplish. The kids are screaming, you're packing up for deployment, you just don't have time to read the "handbook" and figure out the jargon. 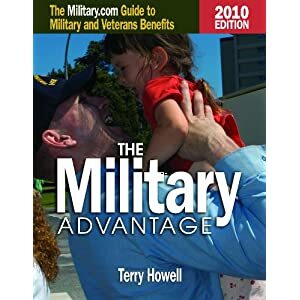 Terry Howell, Military.com's benefit expert, has written "The Military Advantage, 2010 Edition: The Military.com Guide to Military and Veteran Benefits" in plain English and organized in a way that makes sense to you. Get the Book.